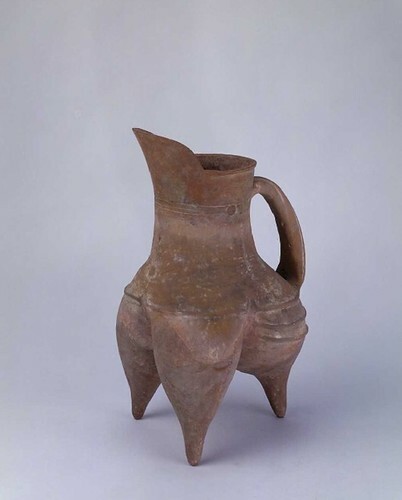 The first ceramics produced in China around eight thousand years ago were utilitarian wares and this early role for basic pottery has never diminished. 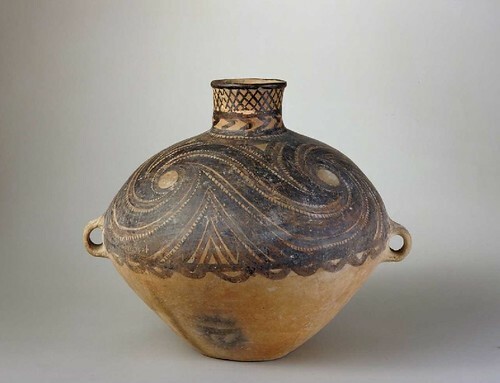 Long before the Bronze Age, sophisticated earthenwares were used as ritual vessels in various Neolithic cultures located along the Yellow and Yangtze river valleys. Some of these regional cultures include Dadiwan (大地灣, 5800-5400 B.C. ), Yangshao (仰韶, ca. 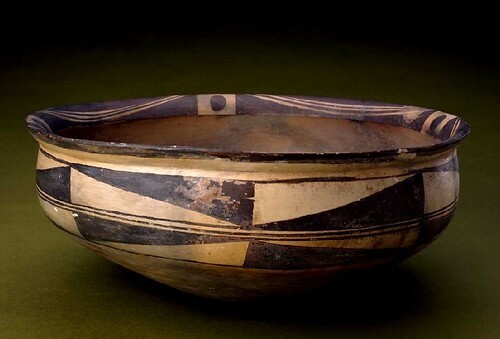 5000-3000 B.C. 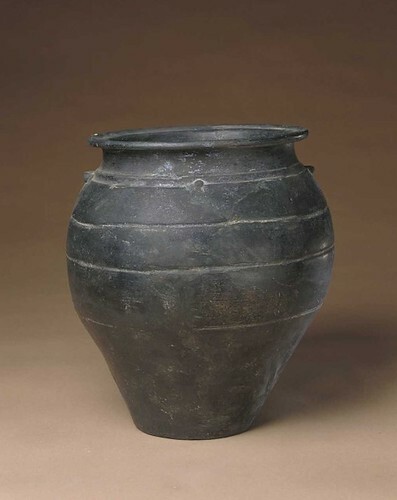 ), Hemudu (河姆渡, 5000-4500 B.C. ), Majiayao (馬家窯, 3100-2700 B.C. 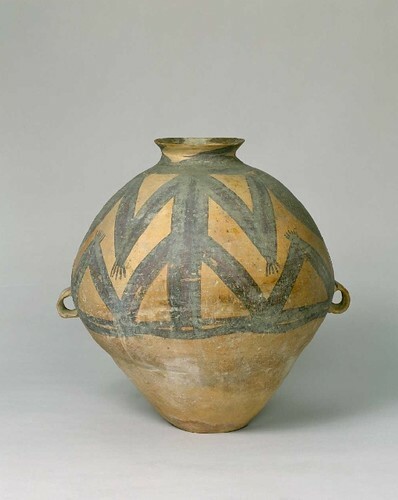 ), Longshan (龍山, 3000-2000 B.C. ), and Dawenkou (大汶口, 4100-2600 B.C.). Mostly hand built, these red, grey, and black wares often reveal a craftsmanship and beauty exceptional for their age. 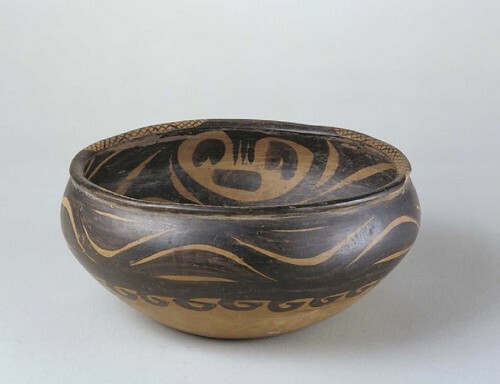 Once the crafting of bronze, lacquer and precious metals were mastered, the ritual status afforded ceramics declined and ceramic shapes began to imitate those of metal almost as soon as the latter appeared.